Semi Flexible Circuits have been used in the military and aerospace industries for more than 20 years. In most Rigid Flex Circuit Boards, the circuitry consists of multiple Flexible Circuit inner layers selectively attached together using an epoxy pre-preg bonding film, similar to a multilayer flexible circuit. However, a multilayer rigid Flex Circuit incorporates a board externally, internally or both as needed to accomplish the design. 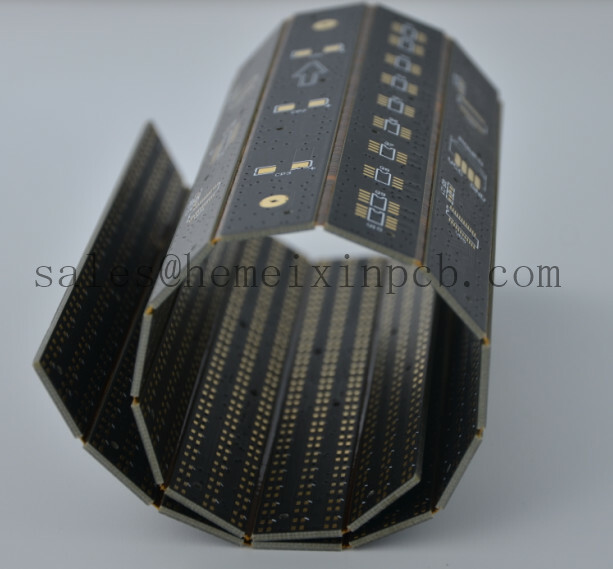 Looking for ideal Semi-Flex PCBs Manufacturer & supplier ? We have a wide selection at great prices to help you get creative. All the Semi-Flex-Leiterplatten are quality guaranteed. We are China Origin Factory of Semi-flexible printed circuits. If you have any question, please feel free to contact us.